Volvemos puntuales con las actualizaciones de EvidenceUpdates en Neonatología, en esta ocasión con el primer semestre del 2014, tanto para revistas biomédicas como en Colaboración Cochrane. - Umbilical cord antiseptics for preventing sepsis and death among newborns. 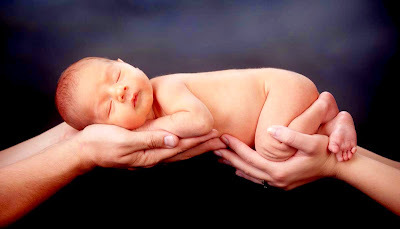 - Skin-to-skin care for procedural pain in neonates. - Resuscitation of preterm neonates with limited versus high oxygen strategy. - Lactobacillus Reuteri for the prevention of necrotising enterocolitis in very low birthweight infants: a randomised controlled trial. - Early versus late enteral prophylactic iron supplementation in preterm very low birth weight infants: a randomised controlled trial. - Red cell transfusion management for patients undergoing cardiac surgery for congenital heart disease. - When is birthweight at term abnormally low? A systematic review and meta-analysis of the association and predictive ability of current birthweight standards for neonatal outcomes. - Trial of Daily Vitamin D Supplementation in Preterm Infants. - Symmetrical and asymmetrical growth restriction in preterm-born children. - Stratification of risk of early-onset sepsis in newborns >/= 34 weeks` gestation. - Use of macrolides in mother and child and risk of infantile hypertrophic pyloric stenosis: nationwide cohort study. - Intravenous immunoglobulin in isoimmune haemolytic disease of newborn: an updated systematic review and meta-analysis. - Randomized controlled trial of oxygen saturation targets in very preterm infants: two year outcomes. - A randomized trial of hyperimmune globulin to prevent congenital cytomegalovirus. - Outcomes of extremely low birthweight infants with acidosis at birth. - Probiotics for prevention of necrotizing enterocolitis in preterm infants. - Planned home versus hospital care for preterm prelabour rupture of the membranes (PPROM) prior to 37 weeks` gestation. - Higher versus lower protein intake in formula-fed low birth weight infants. - Late erythropoietin for preventing red blood cell transfusion in preterm and/or low birth weight infants. - Kangaroo mother care to reduce morbidity and mortality in low birthweight infants. - Formula versus donor breast milk for feeding preterm or low birth weight infants. - PDA ligation and health outcomes: a meta-analysis. - Early (< 8 days) postnatal corticosteroids for preventing chronic lung disease in preterm infants. - Late (> 7 days) postnatal corticosteroids for chronic lung disease in preterm infants. - Effect of fluconazole prophylaxis on candidiasis and mortality in premature infants: a randomized clinical trial. - Effect of delayed vs early umbilical cord clamping on iron status and neurodevelopment at age 12 months: a randomized clinical trial.